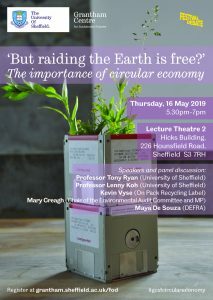 Festival of Debate is a series of discussions, Q&As, artistic responses, keynote speeches and other public events in Sheffield. Featuring over 70 events of all shapes and sizes, 2019’s programme runs from the 19th of April to the 5th of June. This year’s Festival Strands are Who We Are, Living Together, Our Democracy, Our Planet and Looking Forward. 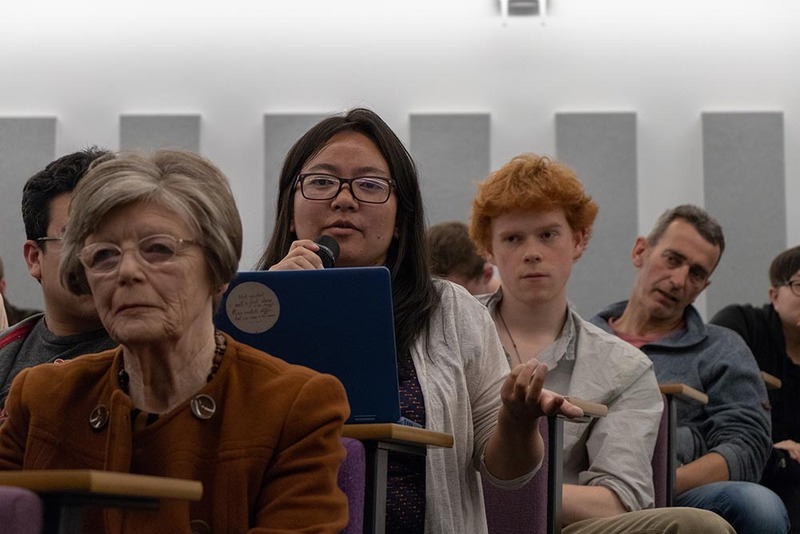 Every year Grantham Scholars put on their own exciting mini-series within Festival of Debate. They attract some of the best speakers going and always provoke thoughtful debate. And all Grantham Centre events are free. Palm oil is almost everywhere – food, fuel or cosmetics – and its use probably leads to thousands of burnt forest and dying wildlife. So, certified palm oil comes to the rescue. But how sustainable is it? 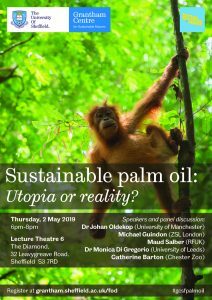 This event explores the implications of palm oil certification on the people, forests and wildlife. Due to decades of over-borrowing from our planet’s natural assets, an environmental collapse is imminent. Everything from clothes to packaging follows a life of ‘take-use-dispose’. By adopting a circular economy, we can reduce the amount of waste we produce. Can this be achieved? Who is responsible? What can be done? Globally, economic growth is credited with reducing poverty and improving health. However, this growth is based on an ever-increasing demand which requires expanding the use of Earth’s limited natural resources. 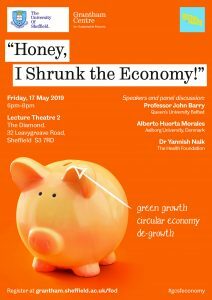 Should society aim to reduce the size of the economy and the related demand for natural resources? Or should society prioritize economic growth using sustainable means? Grantham Scholars are also involved in ‘Our Planet’ Hub Day, which takes place on Saturday 11 May, 11.30am-6.30pm.